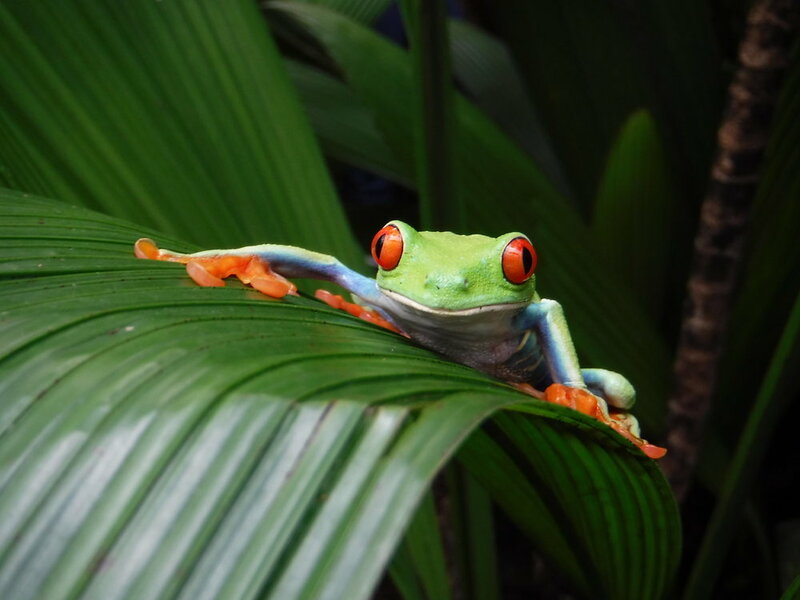 Experience Arenal´s only wild frog sanctuary at night, when colorful tree frogs and other rainforest wildlife are most active and most easily observed. 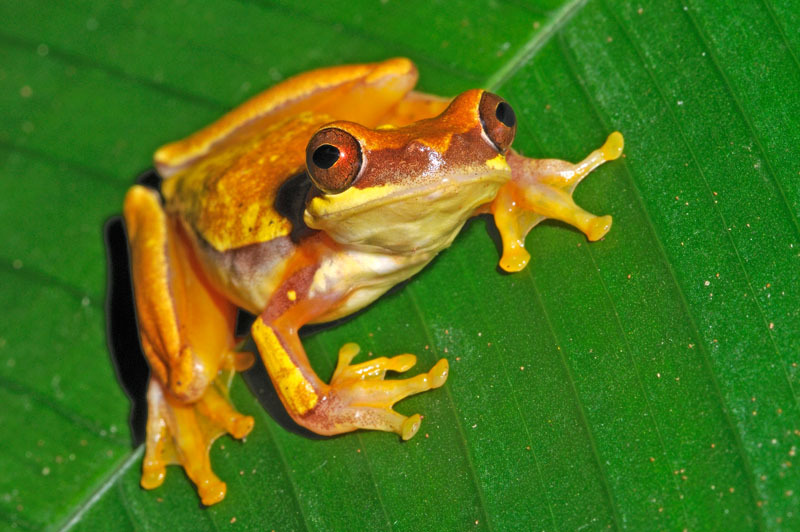 At least 28 frog species have made their home the ponds of Arenal Oasis. The Rojas Bonilla family carefully maintains the native plants of Arenal to create needed frog habitat in this private wildlife reserve of fresh spring water fed ponds; within a rainforest refuge connecting the rainforests of the Arenal Volcano and El Rio Burio. The night tour continues past the frog ponds along flat trails immersed in the noisy night rainforest. The guide will point out animals hiding from you. Support, enjoy and learn about the only wild frog sanctuary in the Arenal Volcano Area. Tours led by trained naturalist along flat rainforest trails start at 5:45pm at Arenal Oasis. Long sleeves, long pants, camera, rain jacket.